UZIN products were used to install safety flooring within the kitchen at the Nottingham City Hospital. The project was extremely complex and very problematic because extensive remedial work was required. Several different types of old floor coverings had to be removed from the old kitchen floor, revealing multiple substrates with latex residues. With such a complicated and challenging project the flooring contractor chose an UZIN system due to their extensive experience and expertise when working with technical demanding projects. The innovative repair system, combining several high quality UZIN products ensured the project was completed without any difficulties. The hospital is also committed to providing the highest standards of health care, so required an environmentally friendly and low emission solution for the refurbishment. UZIN products were therefore used to keep emissions to a minimum. A combination of UZIN PE 460 damp proof membrane, UZIN NC 160 smoothing compound and UZIN RR 201 repair mesh were first used to damp proof and repair the substrate. 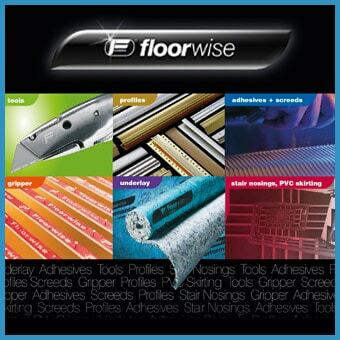 The safety flooring was then installed using UZIN KR 430 adhesive, which has an EC1 Plus accolade for very low emissions.